TWO Indian men arrested in Barcelona for allegedly smuggling missiles have been extradited to the USA. The pair were detained in 2014 along with two Pakistani men as part of a joint operation by Spanish police and US authorities. 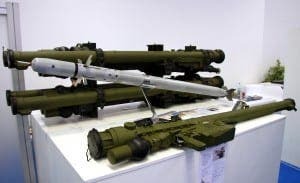 The group are suspected of trying to sell Russian-built Igla missiles to paramilitary groups. New York’s attorney office has charged them with drugs and arms trafficking and terrorist offences. The gang face up to 30 years in prison.